I’ve been Thinking about writing something about my shoes lately and finally got the energy to do so today! Ever since I can remember, I have been really particular with it comes to my shoes, Every time I Style an Outfit, I always consider every detail, It’s not just the Top, the Pants/Shorts, or the Accessories. The shoes plays an important part too! 1. Boots – First one on the List! Boots! If you guys didn’t noticed, I am fond of wearing Boots! Just because it looks so Sleek when I wear them and I always feel dapper with them on my feet. Boots are perfect for going to Social gatherings, Formal Events or just a Casual day out. It also comes in Handy during the Rainy Weather lately. 2. 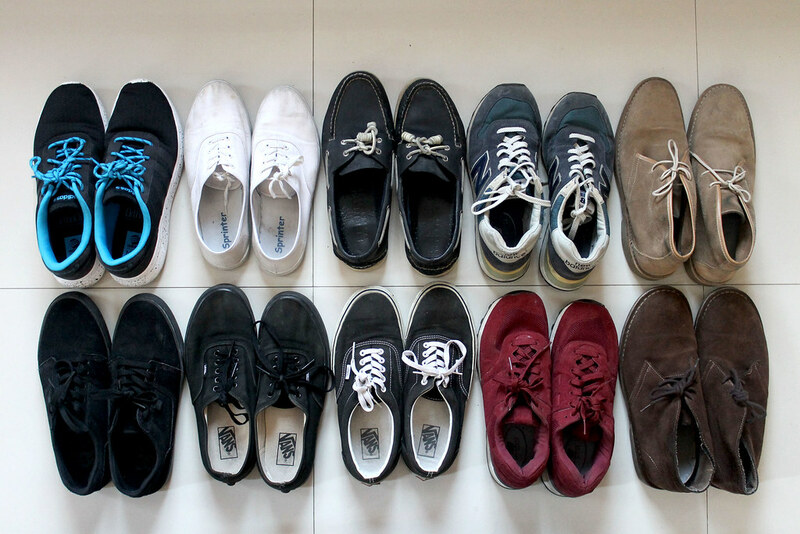 Sneakers – Sneakers! A lot of us probably has more than one sneakers, I’m guilty of that too! These type of Shoes are the best ones because you can practically wear them with Anything! It’s either a Lazy day Outfit or a Wash day in School. It all just comes to how you Style it, It may be White Shoes or Black, The important part is that is compliments well with your Outfit! 3. Training Shoes – Third is Running Shoes! This is probably for people who have more of an Active Lifestyle, It’s great to have a pair of Training Shoes in your wardrobe not just for Running but also in Trekking, Travelling with lots of Walking or just a Workout Session at the Gym! You never know when it might come in Handy. There you go! I hope you guys learned a few things from this blog post! Don’t forget to comment on what you guys think!